High precision plasma cutting technology. X and Yaxis travel on precision linear rail guides. Torch-height travel with ballscrews on dual linear guides. Fast and accurate positioning with AC brushless servo motors. Y-axis: dual synchronised servo drives. Cutting table independently constructed of bridge and machine frame to maintain positional accuracy under any table-load. Patented crash protection on torch®. Sectional cutting table with automatic fume extraction system. Remote control option on large tables.. Optional dust and fume collector devices conforming to safety regulations. Additional plasma or oxygen torch optionly kontrol opsiyonu. Hypertherm’s patent-pending True Hole cutting technology for mild steel produces significantly better hole quality than what has been previously possible using plasma. This is delivered automatically without operator intervention, to produce unmatched hole quality that surpasses the competition. 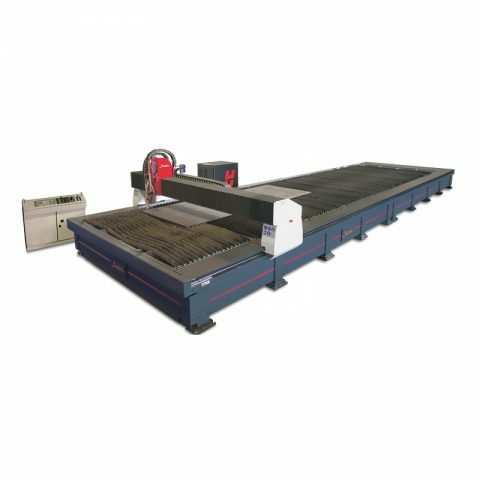 True Hole Technology requires a HyPerformance Plasma HPRXD® auto gas system along with a True Hole enabled cutting table, nesting software, CNC, and torch height control.